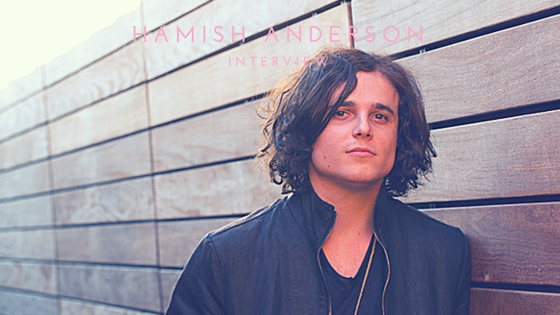 When Hamish Anderson was 12 years old, he first heard the White Album by The Beatles. It was the track “Back in the U.S.S.R.” that had him begging his parents for weeks to buy him a guitar. His hometown of Melbourne, Australia is where he grew up, getting his start in the acoustic music scene playing solo shows inside of pubs. As his influences matured from The Beatles to Peter Green to Tom Petty, continuing to master the guitar was his main priority. Nevertheless, it’s the three Kings that heavily influence his sound. The three Kings – Albert, BB and Freddie – were first introduced to Anderson around age 15. Being raised on his dad’s vinyl records ultimately gave him the push to leave Australia behind in 2014 to pursue his music in America. Those influences of blues and rock all began in the states, and he was determined to make a name for himself there. Since then, he’s released two EPs, a live album and an LP. The full length, Trouble, was produced by Jim Scott at PLYRZ Studios in Valencia, California. Scott has worked with the likes of Tom Petty, Tedeschi Trucks Band, Wilco and more. Anderson and Scott meeting felt like fate – it was at a time where Anderson felt lost and burnt out, unsure of what to do next. It was when they met that he felt the spark make its way back. Once he connected with Scott, he felt like it was finally the right time to create a full-length album. Trouble examines the last three years of Anderson’s life, from relationships and friendships to being away from home and essentially starting over on the other side of the world. Magazines around the country praised it, and he had the opportunity to share the album at festivals across the U.S. including Summerfest, Firefly and SXSW. As the record comes up on a year and a half since its release, it’s only a matter of time before the world gets to see more content from Hamish Anderson.